Seated male sculpture, or "Priest King" from Mohenjo-daro(41,42,43). Fillet or ribbon headband with circular inlay ornament on the forehead and similar but smaller ornament on the right upper arm. The two ends of the fillet fall along the back and though the hair is carefully combed towards the back of the head, no bun is present. 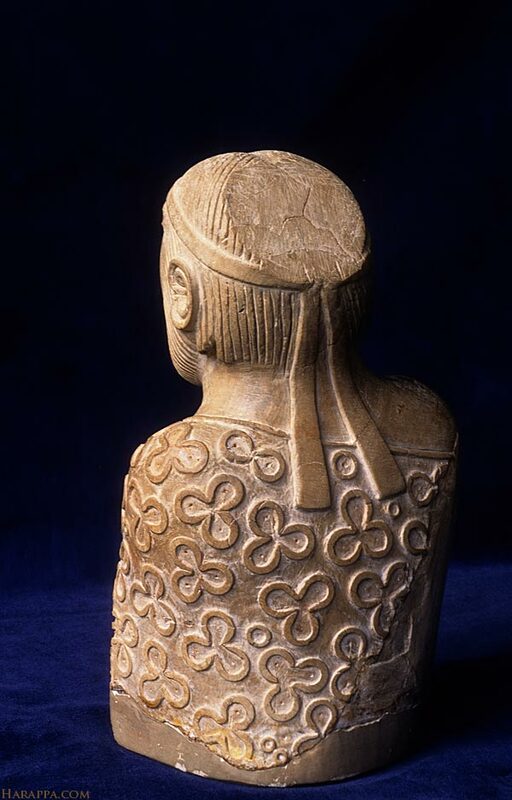 The flat back of the head may have held a separately carved bun as is traditional on the other seated figures, or it could have held a more elaborate horn and plumed headdress.